Inder Loves Folk Art: My Favorite Oliver + S Pattern! Today I'm posting here, on the Oliver + S blog about my favorite pattern, the Sketchbook Shorts, which I've made (at least) fourteen times! Go check it out! There's even a new outfit for Maggie, which I will be back here to blog about in more detail shortly. Great post Inder, well written and fun! Thank you for my mention, chuffed and honoured. Nicole, your place as Queen of the Sketchbook Shorts is not even remotely open to challenge! Haha! I'm so glad you got to share! This is an O + S pattern I still need to try! I'm so scared of pants patterns! Thank you! Stacy, this pattern is sooooo easy and the fit is perfect. 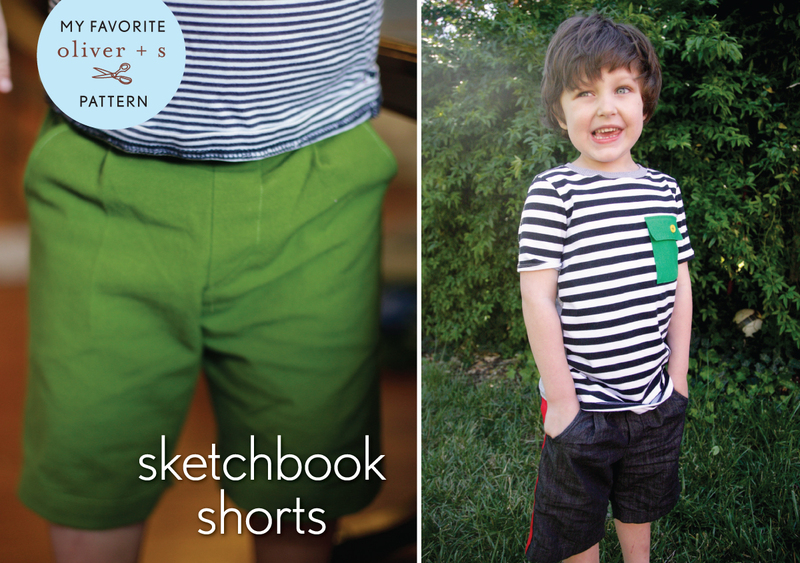 Sketchbook Shorts are like potato chips, you can't just make one pair! This will be the summer I make O some shorts! Thanks for all the inspiration! That was a great read. Maggie looked cool in the new shorts.